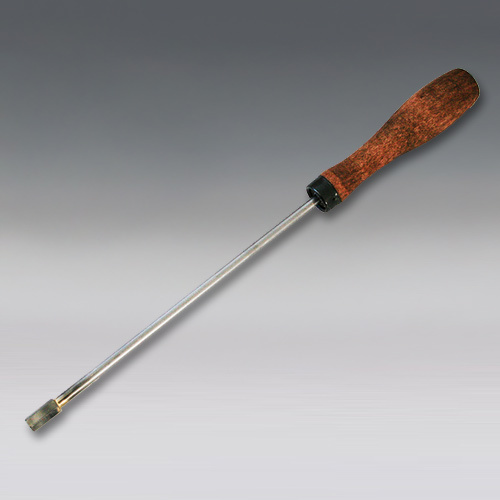 13" stainless steel with wood grip threaded embossing handle. Add a design element for a single press. When embossing, it is recommended to wear hand and arm protection.